Keith grew up in Stanton St Quintin and was educated at Sheldon School in Chippenham. He worked in Bath and Chippenham before starting his Estate Agency career in Malmesbury in September 1987. Having trained with Hamptons, he joined Christopher Blount & Co in 1997, and became a partner of the newly formed Blount & Maslin in 2001. Christopher retired in June 2006 and Janice Adams joined the company. 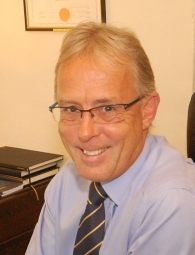 Keith became a member of the National Association of Estate Agents (NAEA) in July 1991 and is one of few NAEA Licensed Estate Agents in the area. He is a keen squash player and loves all forms of motor sport, both watching and participating. Keith, his wife and two teenage children moved from Sherston back to Malmesbury in August 2011 and he now spends much of his spare time gardening. Janice is a country girl at heart, having been born and brought up on her parents farm in rural Devon. 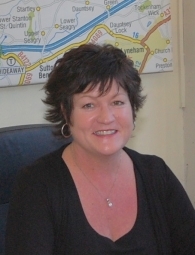 She has worked in agency in Malmesbury for nearly 20 years, joining Blount and Maslin in 2006. She assists Keith with all aspects of the business and is highly regarded within the industry. Over the last couple of years she has been busy extending and refurbishing her Grade II Listed cottage in Malmesbury’s Lower High Street, where she has lived for the last 14 years. With her boys now at university she has got a new fluffy addition to the family, in the form of Mia, her miniature Labradoodle. Neil moved to Malmesbury in 2008 and joined Blount & Maslin in early 2014. He has previously worked in the retail and distribution industry and has extensive experience in residential & commercial property management. 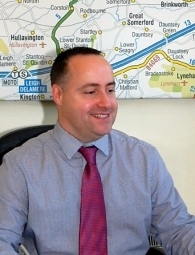 Neil is a man of detail and, in particular, excels in ensuring we comply with all legal requirements and regulations. Andrea grew up in Lea, a picturesque village on the outskirts of Malmesbury. After living in various locations both in UK and abroad she has now returned to her roots and is living in Malmesbury. 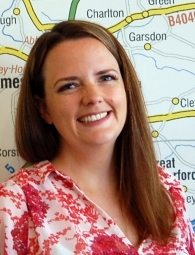 With over 10 years of experience in marketing, Andrea has joined the team at Blount & Maslin as an administrator and marketing/ social media advisor. When she is not working Andrea loves walking her Jack Russell, gardening, travelling and reading.